* Preheat oven to 350 degrees F (175 degrees C). * In a 9x13 inch casserole dish, mix the potatoes, onions, butter, and parsley. Season with salt and pepper. * Bake covered in the preheated oven for 45 minutes, stirring occasionally, or until potatoes are tender.
. Preheat oven to 350 degrees F (175 degrees C).
. Melt 2 tablespoons butter in a large saucepan over medium-high heat. Cook squash and onions until tender. Remove from heat, and stir in Cheddar cheese, mayonnaise, eggs, and crackers. Season with Ranch dressing mix and salt.
. Spread the squash mixture into a medium baking dish. Mix together stuffing and 1/2 cup melted butter, and sprinkle over the squash mixture. Bake 20 to 30 minutes in the preheated oven, or until firm and lightly browned.
. 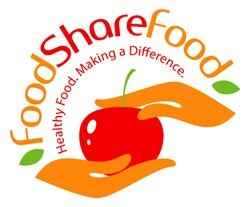 In a small container with a tight-fitting lid, combine the vinegar, oil, honey, salt, pepper and green onion. Close the lid, and shake vigorously to blend.
. Place the romaine lettuce into a large serving bowl. Sprinkle with dressing and toss to coat. Add orange slices and toss gently. Serve immediately.
. Preheat oven to 350 degrees F (175 degrees C). Line a baking sheet with aluminum foil.
. Rub the beets with 1 tablespoon of olive oil and place onto prepared baking sheet. Place in preheated oven, and bake until the beets can be easily pierced with a fork, 20 to 60 minutes depending on size. When done, allow to cool on the baking sheet until cool enough to handle, then remove and discard the skin, and cut the beets into wedges or slices.
. Meanwhile, cut the beet greens in to 1/4 inch wide ribbons. Heat the remaining tablespoon of olive oil in a large skillet over medium heat. Add the onion; cook and stir until it begins to turn golden brown, about 10 minutes. Once the onions have begun to caramelize, stir in the beet greens and cook until they wilt. Add the beet slices and continue cooking until heated through. Season with sea salt and pepper before serving. * Melt butter in a skillet over medium heat; cook and stir garlic until fragrant, about 30 seconds. Stir in Italian seasoning and snow peas. Add water; cook and stir until peas are bright green and tender, about 2 minutes. Stir in olive oil and lemon juice. Season with salt and black pepper. * Place cantaloupe cubes and ice into the container of a blender. Process until the ice is in small pieces. Add sugar, and puree. Pour into tall glasses and serve immediately. * Heat the oil in a large skillet over medium heat. Cook and stir the onion about 5 minutes, until tender. Mix in the tomatoes, and season with salt and pepper. Continue to cook and stir about 5 minutes. 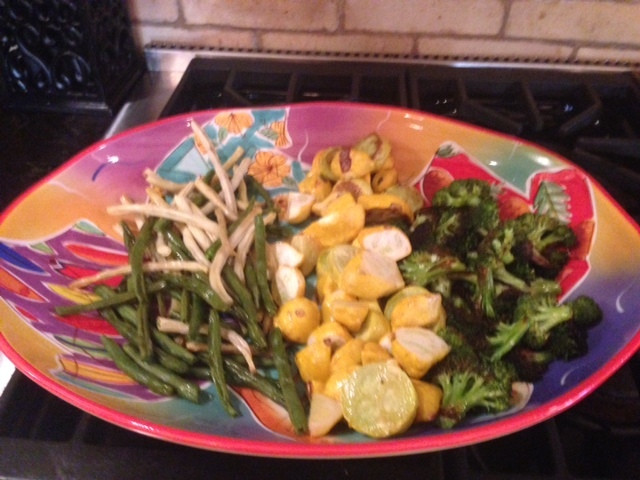 Mix in the zucchini, yellow squash, bay leaf, and basil. Cover, reduce heat to low, and simmer 20 minutes, stirring occasionally. Remove bay leaf before serving.
. Soak corn in cold water for 1 to 3 hours.
. Stir together macadamia nut oil and melted butter in a bowl. Season with garlic, rosemary, sage, basil, thyme, salt, and pepper; stir in Parmesan cheese.
. Drain corn and pat dry. Spread butter mixture evenly over each ear of corn, and place each piece on a square of aluminum foil. Tightly wrap each ear and puncture to allow excess steam to escape while grilling.
. Grill the corn cobs until tender, about 20 to 30 minutes, turning frequently. Remove from the grill and check for doneness; if the corn is not done, continue cooking an additional 5 minutes.
. Preheat oven to 350 degrees F (175 degrees C). Grease an 8x8-inch baking dish.
. Spread the plums out into the prepared baking dish and sprinkle with 1/4 cup sugar. In a bowl, mix together 3/4 cup white sugar, flour, baking powder, and salt. Combine with beaten egg and spoon the mixture over the plums. Drizzle batter with melted butter.
. Bake in the preheated oven until the topping is brown, about 40 minutes. In a large skillet, saute onion in butter for 3 minutes or until crisp tender. Add zucchini; saute for 4 minutes or until vegetables are tender. Stir in the bacon, beans, salt and pepper; heat through. Yield: 6 servings. Make Dressing: Whisk together zest, lemon juice, shallot, mustard, and salt in a small bowl. Add oil in a slow stream, whisking until dressing is emulsified. Whisk in pepper and parsley. Grill zucchini: Lightly brush zucchini all over with oil. When fire is hot (you can hold your hand 5 inches above rack for 1 to 2 seconds), grill zucchini, cut sides down first, on lightly oiled rack, uncovered, turning once, until zucchini are just tender, 8 to 12 minutes total. Transfer to a cutting board and coll slightly, then cut diagonally into 1/2 inch-thick slices. 2. Combine first 7 ingredients in a large bowl; toss well. Thread squash and onion alternately onto each of 8 (10-inch) skewers. Place skewers on grill rack coated with cooking spray; grill 10 minutes or until tender, turning frequently. Drizzle with juice. Sprinkle with mint.
. 1. Cook green beans in boiling water 1 minute. Drain and plunge beans into ice water; drain.
. 2. Combine rice vinegar and next 3 ingredients (through salt) in a medium saucepan; bring to a boil. Cook until sugar dissolves.
. 3. Combine beans, squash, and remaining ingredients in a large bowl. Pour hot vinegar mixture over squash mixture. Toss well. Cover and refrigerate 8 hours, stirring occasionally.
. Preheat oven to 350 degrees F (175 degrees C). Grease a medium-sized casserole dish.
. In a mixing bowl, cream together butter and sugar. Beat in eggs one at a time. Stir in cinnamon and nutmeg. Add bread and crushed pineapple into the mixture. Transfer mixture to the prepared baking dish. Bake in the preheated oven until bubbly and lightly browned, about 60 minutes.
. Preheat oven on broiler setting.
. Place peaches hollow side up in a pie pan. In a medium bowl, mix together crushed vanilla wafers, brown sugar, butter and cinnamon until crumbly. Sprinkle over peaches. Place under broiler, and cook until sugar is melted and bubbly, about 1 minute. 3) Bake at 400 for 10-12 min.
. In a large mixing bowl place figs and sprinkle with baking soda. 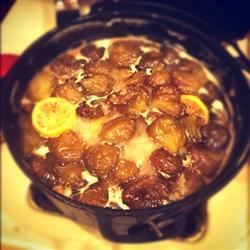 Pour the boiling water over the figs and soak for 1 hour.
. Drain figs and rinse thoroughly with cold water. In a large Dutch oven combine the sugar and the 4 cups of water; bring to a boil and cook for 10 minutes.
. Add the figs and lemon slices to the syrup in the Dutch oven and cook for 1 hour, stirring occasionally. Spoon figs into hot, sterilized jars and spoon syrup over figs, leaving 1/2 inch of head space. Top jars with lids and screw bands on tightly. Process for 10 minutes in a hot water bath.
. Preheat grill for medium heat.
. Thread the cantaloupe chunks onto 4 skewers. In a small saucepan, heat butter with honey until melted. Stir in mint. 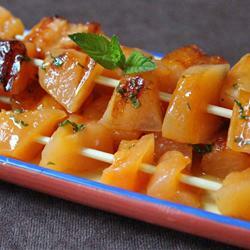 Brush cantaloupe with honey mixture.
. Peel the cucumbers and slice wafer thin. Sprinkle with salt. Let stand 30 minutes, and then squeeze cucumbers to release moisture. In a medium size bowl mix sugar, water, vinegar, celery seed, and onion. Add cucumbers to mixture. Mix well. Refrigerate 1 hour.